EVERYTIME dry spell or typhoons strike, the agriculture sector immediately feels the adverse effects. 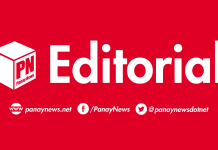 For example, due to the current dry conditions the Department of Agriculture last week said initial assessment showed that a total of P464.3 million worth of rice and corn crops had been lost as of March 11. The massive destruction on agriculture underscores the need to increase the coverage of crop insurance. But the losses go beyond mere plants (rice, corn, coconuts, vegetables, etc). Droughts and typhoons hurt the gut of farmers and their families who rely heavily on farming for their livelihoods. While concerned government departments (agriculture, social welfare, etc.) may have contingency funds, we want to see a long-term program that will address crop losses by getting farmers insurance coverage from the state-owned Philippine Crop Insurance Corp. (PCIC). Helping farmers get insurance coverage for their crops will not only save government funds, but more importantly, give farmers a sense of security amid the threat of climate change. As an attached agency of the Department of Agriculture (DA), PCIC’s principal mandate is to provide insurance protection to farmers against losses arising from natural calamities, plant diseases and pest infestations of their palay and corn crops, as well as other crops. Just this Saturday, the PCCI said a total of about P420 million in insurance claims across the country is ready for immediate payout to farmers who have lost their crops to the dry spell caused by the El Niño phenomenon. However, a study released by government think-tank Philippine Institute for Development Studies a few years ago found the lack of awareness on PCIC’s programs in some parts of the country. The DA must intensify the information campaign on PCIC’s program to educate farmers on the importance of investing on crop insurance. This is not only logical but also practical. Amid the threat of climate change, farmers must have a sense of security. This, in turn, will also ensure our food sufficiency.